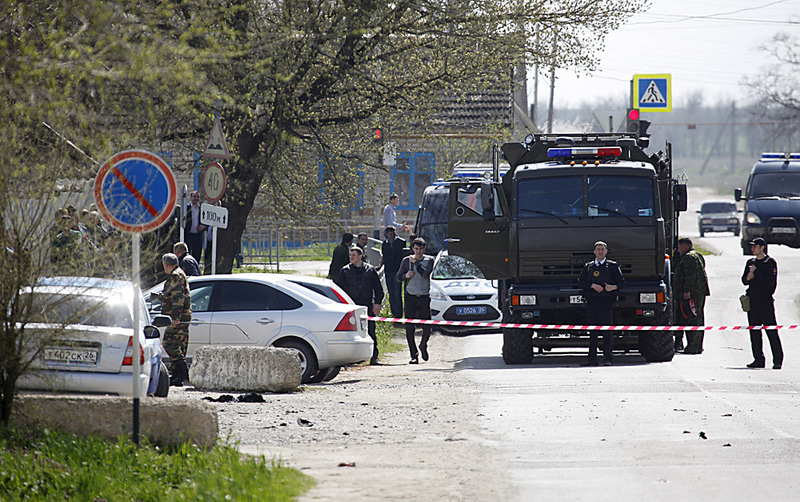 Representatives of operative agencies and the Emergency Situations Ministry are working at the scene of explosions in the Stavropol territory, and the situation is under control, the National Anti-Terrorism Committee (NAC) information center has said. "The legal regime of an anti-terrorism operation has been put into place in the territory of the Novoselitsky district. The identity of all persons engaged in blasting explosive devices and their accomplices is being established. Measures are being taken to cleanup the aftermath of the explosions. The situation in the incident zone is under control," the NAC information center told Interfax on April 11. Unidentified explosive devices blasted at 10:10 a.m. in the Novoselitsky district of the Stavropol territory, when unknown persons tried to enter the office premises of the district police station, it said. The head of the NAC operative staff in the Stavropol territory deployed forces and means of Federal Security Service, Interior Ministry and Emergency Situations Ministry units to the incident scene.